Electrical vehicle market will once again reshape itself by end of this year, with a lot of new models coming. That's why, sadly, the small newcomers, like Lucid or Rivian will never make it, they are too slow in their development. For example, Rivian, while interesting, promises first delivery 2 years from now; I reckon they will be dead sooner, as this market is speeding up like crazy. Only large manifacturers will survive, being able to deliver cars to the market within year. UaPro and Lounds like this. My mom has an XT5 Luxury AWD on lease for 4 years at $500 a month. My aunt has an XT5 Luxury AWD Preimum on lease for 3 years at $620 a month. 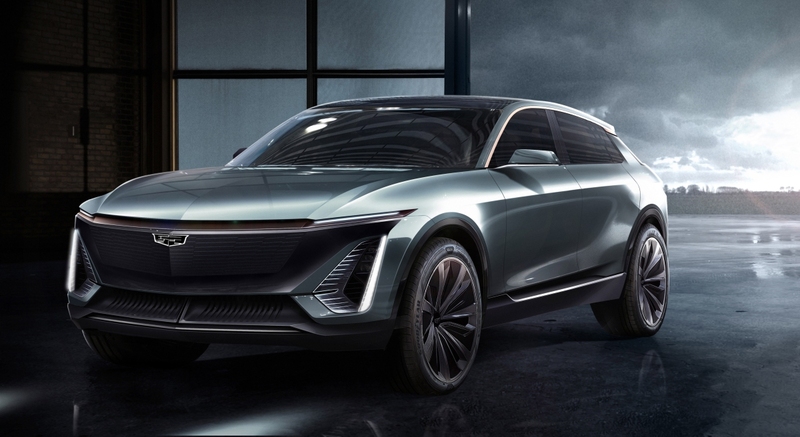 Unless this EV manages to have a similar cost to the XT5, I don't see either of them making the switch. Gas prices are relatively low and gas is far more time efficient than having to recharge the car for upwards of an hour. Maybe... then again electric vehicles still aren't all that appealing to the masses yet. The cost is still too high and anyone who takes even the occasional road trip more then a few hundred miles will be worried about recharging. US is a different reality when it comes to gas prices. In Europe petrol prices are insanely high. From my personal example, just last may I was able to buy a brand new Audi A6, 2.0 Diesel, Ultra S-Line Black Edition, on PCP at 400 euro a month, which is way better than leasing. GM really is not saying anything about range. They are obviously deferring saying anything about that by saying the number of batteries in their battery tray is variable - meaning that it will likely cost extra to fill that tray beyond what they might include in the base model. A dated article http://facethefactsusa.org/facts/the-asphalts-getting-crowded-video-/ states that the average miles a person drives in a day is 37. For myself, I likely would not yet buy an EV because I would not own two cars. However, I do see a number of Nissan Leafs in my area that easily make that 37 mile range. This alone is enough to, over time, make up the extra cost. Gas may be cheap, but electricity is cheaper. Long trips are the exception for most rather than the rule. Also a possible selling point is that EVs have far fewer moving parts and are likely to be more reliable than anything with an ICE in it. Whether these vehicles sell or not will remain to be seen. I think it is only a matter of time before EV range is the equivalent of ICE range. This is only GM, after all, and there are others out there who are not only developing EVs, but also developing better battery technology. "The days of internal combustion engines are numbered"
While I like the idea of them and would prefer over gasoline, the infrastructure isn't there. I love to tinker and mod, so that is a big downer for me. People don't want to sit at a charge pump for 2 hours on an 8 hour road trip, if one is even available. You will need 2-3 times as many "pumps" at existing stations just to handle the additional fill time. Road trips will cost more because you will also be more likely to buy junk food at the station. Hopefully the power stations and power lines can support the massive increase in electricity demand, which will also shoot home electricity prices up - especially for your A/C in the summer. Roadside assistance can't support them. Dealerships barely have anyone to service them, and if anything goes wrong or a brain fart it's insta-death. Most of my family are mechanics and they don't want to work on them. I have no idea how independent mechanic shops are going to service them, at least through the near future. It's wild to think that in the not-too-distant future, we'll be talking about the old days of filling up at the local gas station. We'll be talking about it while waiting for hours for the car to charge. With this being GM, the car won't even look like that. The renderings actually look really good in my opinion. 2) Driving range - I was arguing that I wouldn't make it to Vegas comfortably from SoCal and my colleague mapped out a driving path that passes through 3-4 charging stations on some EV charging mapping website. Granted, I still won't buy an EV just yet as I'm sure I would have range anxiety as well. Do you mean they look like every other Caddy from 2019's lineup? If you can tell they are renderings at all, they don't "look good". 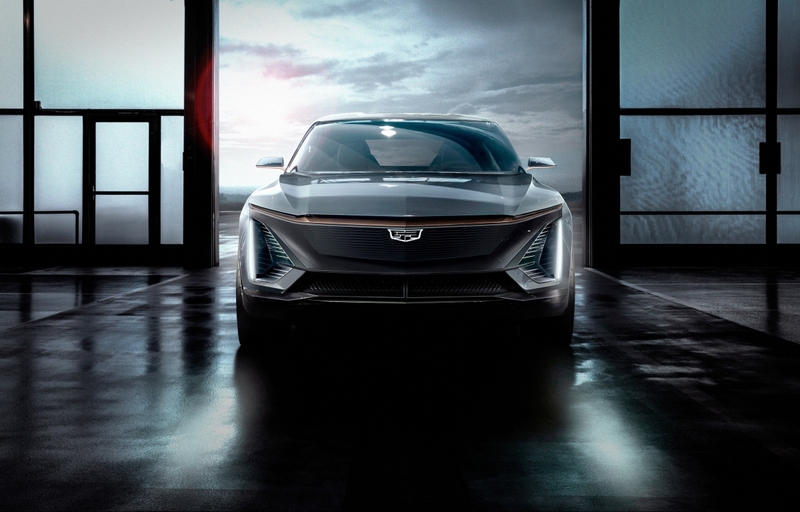 Amateur hour over at Cadillac, here. I definitely would not buy and EV at this point, either. I would, however, buy a PHEV. I see this as a step in the right direction. The more EVs there are, the more demand there will be for more charging stations. It remains to be seen what will actually come of all this. According to a 2010 report by the Pacific Northwest National Laboratory, the electric grid that existed at the time was capable of supplying enough electricity for 73% of the nation's light duty vehicle fleet. I like how they kept the huge king of the jungle front end even though there's no need for a grille. Rolls Royce and Bentley will probably do the same. Prestige cars gotta rule. You don't mess with a maw like that, even if it's taped over. Doesn't sound like you put up a fight... Lots of people can't afford a $30K+ car, let alone one over $20K. Even with heavy discounts (some of which are going away) the cheapest EV's are still out of reach for the majority of budget consumers. I wasn't specifically talking about range, more of the "refuel" time when you aren't going to make the entire journey on one charge. A lot of people are not willing to spend 2+ hours waiting for a charge. Thanks for the article, but PHEV is different than EV. PHEV also runs on gasoline and therefore uses less electricity. They also do not hold as much of a charge as a true EV. At least the Fusion PHEV I considered, it could not run completely on battery in the very short distance per charge if you gave it any more than a feather of the throttle. They also are not counting on long distance trips. I know several people here who travel much further than the 33 miles assumed, and at 70+ mph. I see a slow adoption rate, by which the power companies may be able to keep up with if they grow. Again, as there is a much higher dependency on electricity, so the price will spike up. Also, forget about going anywhere if your power goes out. This may never come to market, but it is an example of one of the many ongoing research efforts into storage technology. So take that 230 mile range of a Tesla - IF - this advancement comes to market, and its range is now 2,300 miles - on a single charge. I would think that this would be well more than enough to alleviate any range anxiety. If charging stations are put in at places like hotels, topping off might be done overnight. There is also ongoing research into fast-charging technology, too.